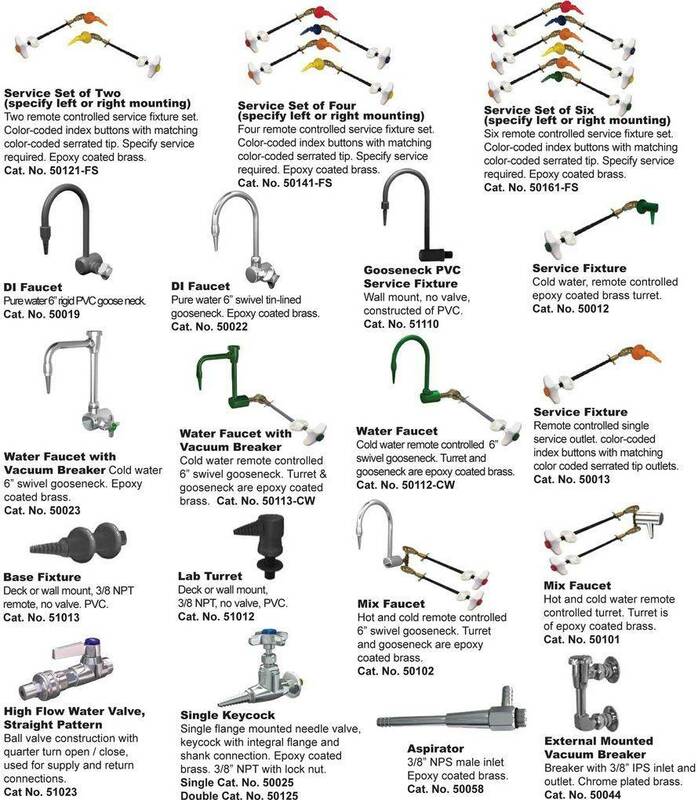 Remote control service fixtures feature epoxy coated brass, chemical resistant, color-coded, serrated hose connections, and 3/8" NPT brass valves with rod and handle assembly. 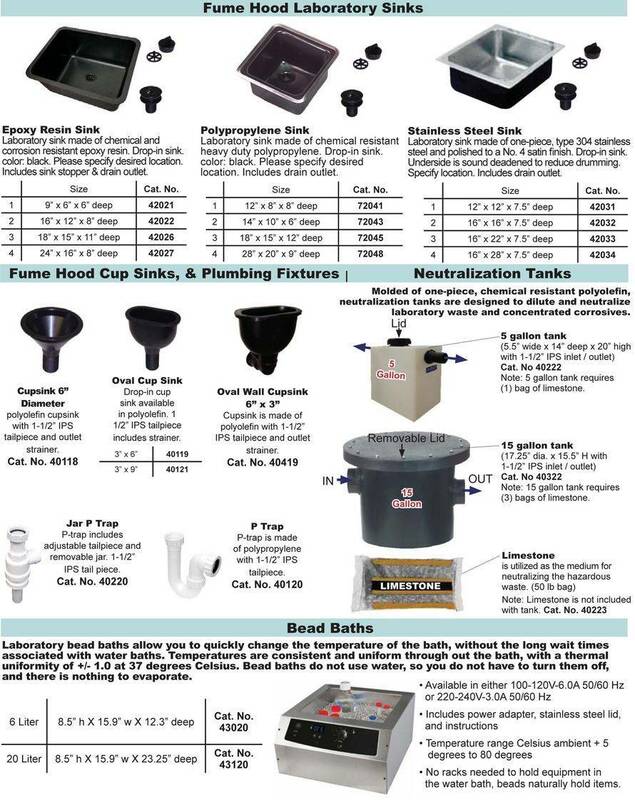 Plumbing fixtures are factory installed on hood, they can be pre-plumbed if specified. Please specify service required, fixture location, and inside or outside service access panels. Conforms to ANSI Z21.15.